The Grand Paradise Bavaro Beach Resort Punta Cana is situated near the international airport. The rooms at the Grand Paradise Bavaro Beach Resort Punta Cana offer plenty of amenities for visitors, including air conditioning, refrigerator, showers, bathtub, towels, hairdryers, TVs, minibars, bathrooms, and much more. Guests can also take the advantage of using an in room safe for an extra fee. All the rooms of Grand Paradise Resort come with a terrace or a balcony. 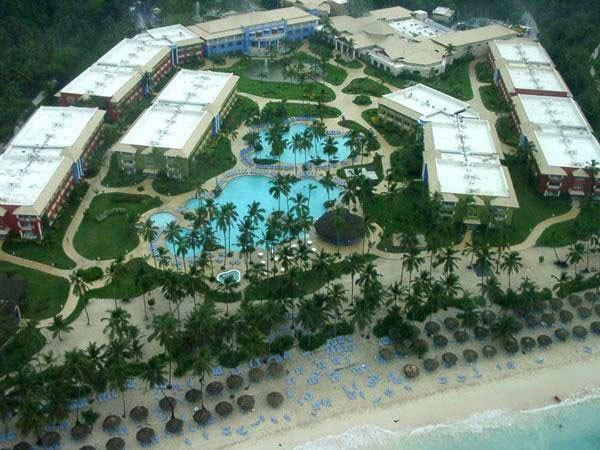 The Grand Paradise Bavaro Beach Resort Punta Cana offers plenty of facilities for fun and adventure, such as spa services, ping pong, tennis, beach volleyball, and four outdoor swimming pools, where you can enjoy swimming in crystal clear waters. Guests of the hotel will also get the opportunity to dine at one of the hotel’s restaurants. The Grand Paradise Bavaro Beach Resort has a gift shop. If you have a baby, you can avail babysitting services on offer here. There is so much to admire and cherish in the Grand Paradise Bavaro Beach Resort Casino & Spa. You are sure to fall in love with the hospitality of the staff and the wide range of facilities on offer for guests, such as a steam room, fitness facilities, tennis courts and a sauna are available for the guests. The on-site spa offers beauty services, massage and treatment rooms. Other business amenities include meeting rooms for small groups, wireless Internet access (surcharge) and business services. Grand Paradise Bavaro Beach Resort Casino & Spa has a bar/lounge, restaurant and a poolside bar for the enjoyment of the guests. A cold and hot buffet breakfast is free for guests. There are also conference rooms and banquet facilities for events and parties. The Grand Paradise Bavaro Beach Resort features 4 pools, 3 children’s pools, 4 lagoon-style, 2 swim-up bars, a casino, 2 health spas, and a shopping plaza. This 3 star property also offers watersports activities for their guests, who can enjoy snorkeling, windsurfing, shuffle boarding, sailing, boogie boarding, and kayaking. Other sports activities include bocce, soccer, basketball, miniature golf, volleyball, table tennis, billiards, bicycling and tennis to keep the toursists entertained. This 3 star property also offers dancing lessons, aerobic classes, and language lessons for their guests. Dry cleaning/ laundry facility is also available in Grand Paradise Bavaro Beach Resort. On-site live performances are also organized at the resort for the guests. La Laguna is an air-conditioned linen-service restaurant. This restaurant daily serves breakfast, lunch, and dinner in buffets. Theme dinners include Italian, Dominican and German. If you are here for a dinner, do not forget the dinner dress code, such as collared shirts, dress shorts or long pants, closed-toe shoes or sandals for men. Club de Playa– This open-air beachside restaurant serves grilled foods, such as hot dogs, chicken, burgers and fish for an afternoon, lunch and late night snacks. Sports Bar – This air-conditioned bar opens 24 hours for beer, nachos, sandwiches, popcorn, tropical drinks, and juices. Pool and football tables are also available. Big screen TV and two computers with dial-up Internet access are also available at surcharge in the bar. Beach Bar – You can enjoy tropical drinks from mid-morning to late afternoon in this beachfront bar.